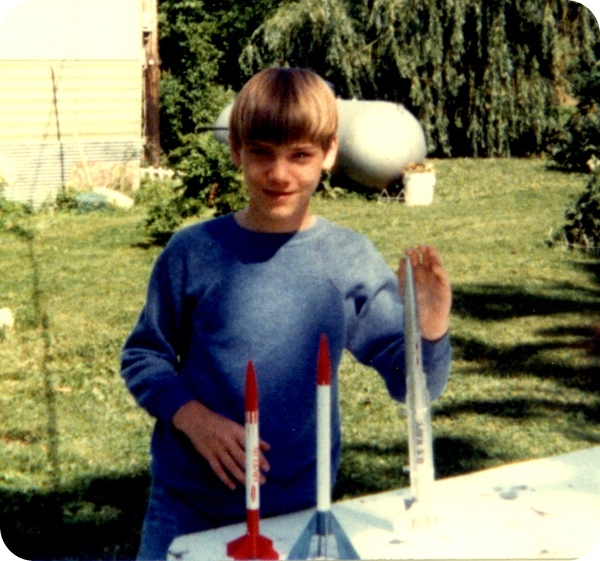 I’ve previously posted the following on my model rocketry site, rocketry.gonnerman.org, but I’ve decided to go ahead and repost it here. Well, here they are… the pictures that, had I any sense, I’d never allow to be seen. 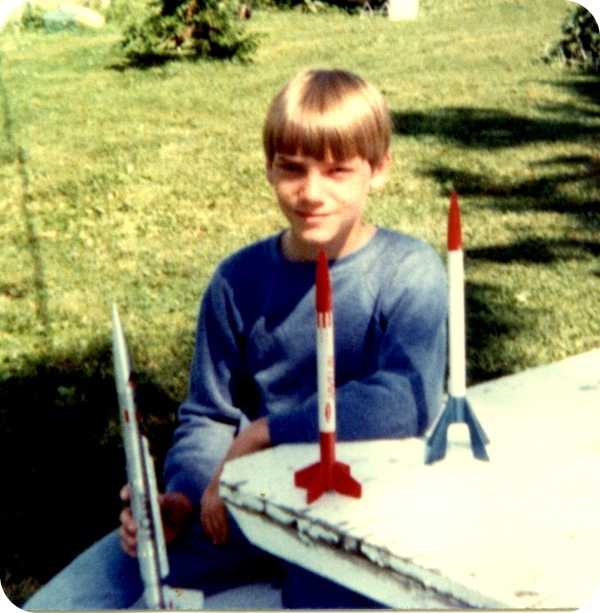 The pictures that graced the pages of my last 4-H Model Rocketry project book. 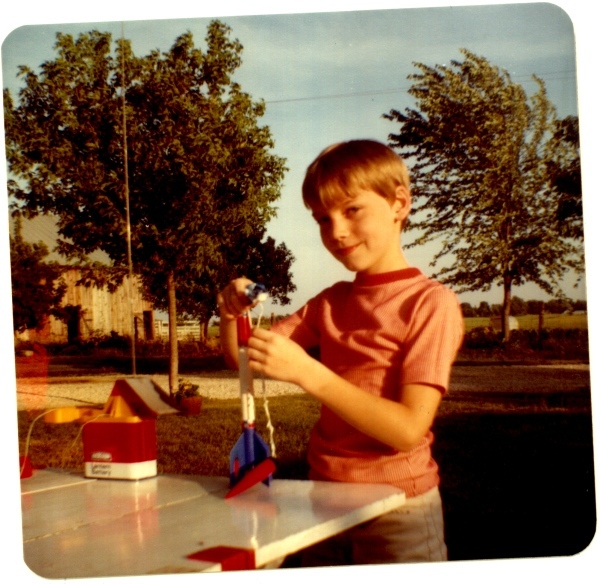 Here’s where it all started… with my first rocket, a Centuri Screaming Eagle, part of the “Eagle Power Outfit” from the 1976 Centuri catalog (#763). I was probably 10 when this picture was taken. \nI have this picture marked as 1978; I think that’s right, anyway. 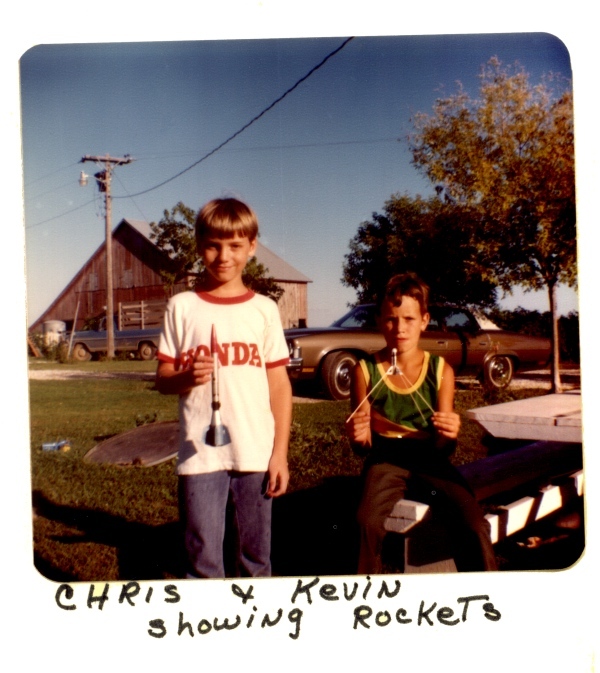 I’m holding my Vector V, and beside my is my friend Kevin holding his Satellite 62SL, which I think was his first rocket. 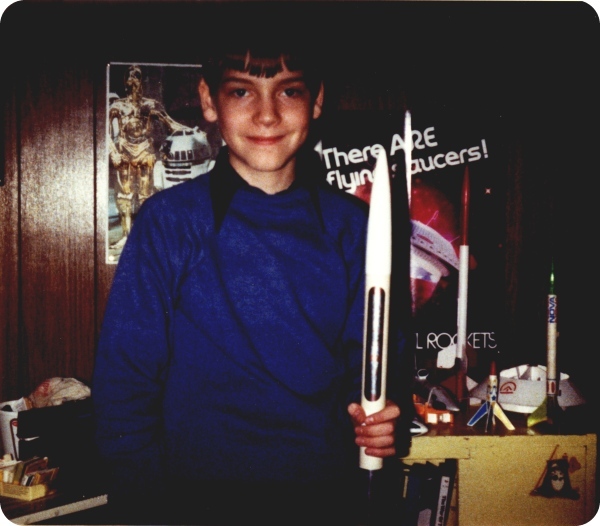 He only did the 4-H Model Rocketry project for a single year. \nI have this picture, and the next one, tagged as being from 1979. Again, I’m pretty sure that is right. Pictured in front of me are my Javelin (I think), Sky Devil, and Nomad. Of the three, only the Sky Devil still exists. Another picture of my new rockets from 1979. One of two pictures of my fleet as it was in 1979. Most of those birds are, sadly, long gone; I particularly miss the Space: 1999 model, not that I liked it, but I could have sold it on eBay. The second fleet picture. Here you can see my Nova, one model I miss. I am planning to build an upscale to 18mm, but it’s not very high up on my build queue right now. 1979, again. 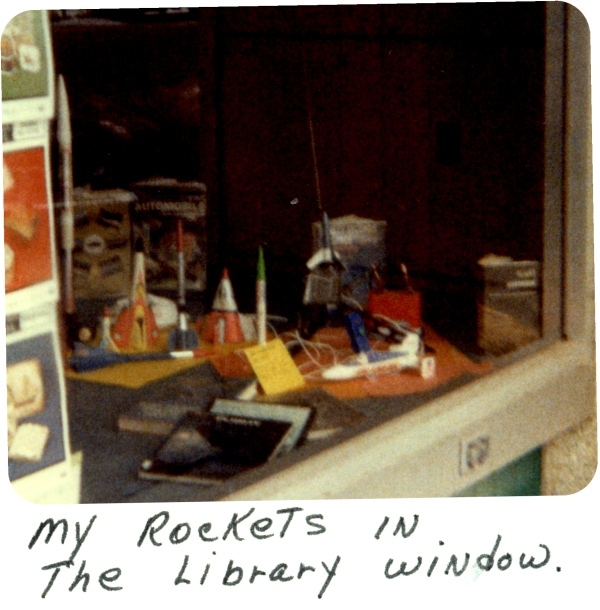 I was asked if I would put my rockets on display in the window of the local library in Edina, Missouri, and I did so. I took a few pictures, but these are the best two (yes, the others were worse). The Sky Cycle is another I’d like to have now just so I could sell it on eBay. 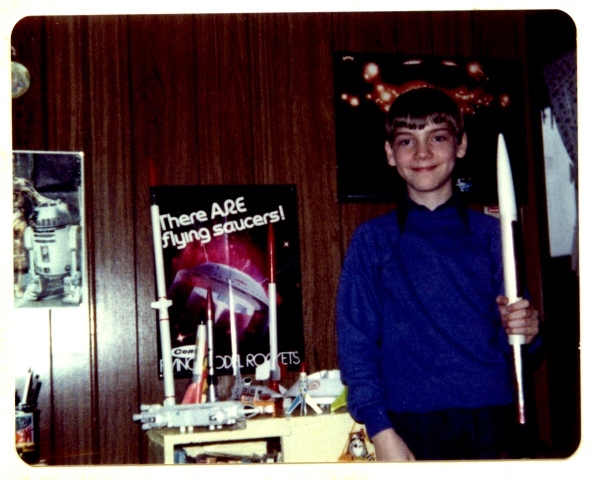 I also miss the X-24 Bug and the Bandito (my second rocket, bought in 1976 as a discount bonus rocket when I ordered the Eagle Power Outfit). The second library window picture. I still use that Power Tower, but with a different controller, as the original controller is in bad shape. I’m trying to get the dates that you have posted above, your age and my start date with MU Extension to line-up. I started with MU Extension as the 4-H Youth Development Specialist in 1982 at the age of 24. I hadn’t completed my masters degree at the time. My salary was to be adjusted as soon as my thesis had been reviewed, revised, revised, revised and revised one more time and approved by my committee. So from November 1982 to May 1983 I served as the 4-H Specialist for Adair, Clark, Knox, Schuyler and Scotland counties and wrote my thesis on an electric typewrite (with correction tape cartridge) during nights and weekends. The Gonnerman, Shultz, Dobbs, Early, Campbell, and Thomas families were some of the first families I had the privilege too work with. Actually, when I think about it, these were the families that taught me how to be a multi-county 4-H Youth Development Specialist. During my 34.5 years as the 4-H Specialist I can’t remember a time when the Gonnerman family wasn’t involved in 4-H or the MU Extension council. That says a lot about the kind of folks that I had the privilege to work with while employed by MU Extension. Loved looking at your pictures and reminiscing about days gone by. Thanks for the kind words, Karen. 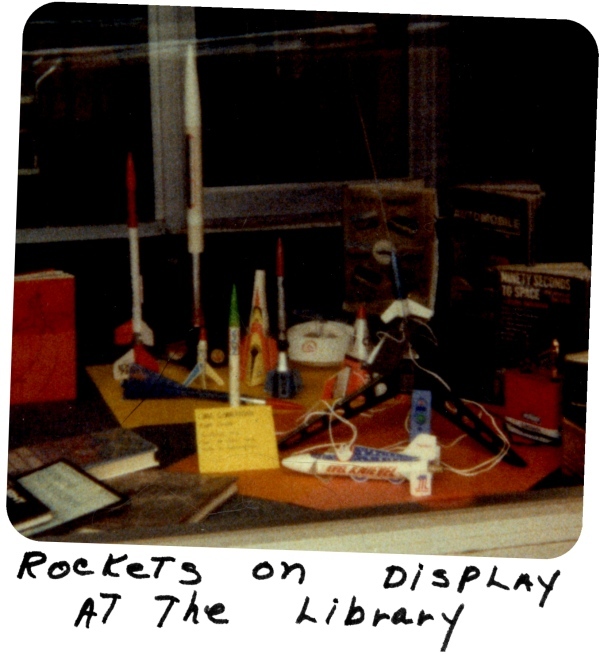 The best way I have been able to remember the dates is by the first rocket catalog I had. It was the 1976 Centuri catalog, number 761 (i.e. the first 1976 catalog). I took it to school to show my friends, but I’ll admit they weren’t all that interested. But I remember the cover page quite well, and thanks to Ninfinger’s site I can see it all again.